The group then moved to the Christ Enrichment Center. 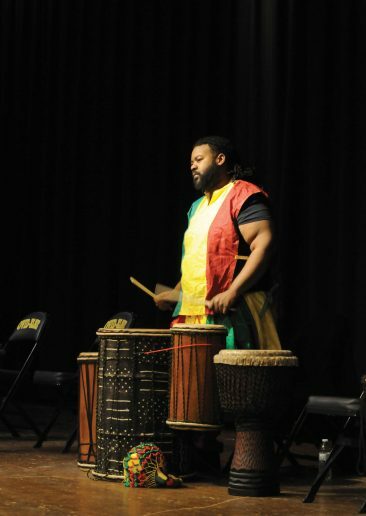 In 1992, Collins started the non-profit African Drum and Dance Parent Association (ADDPA) and the Kevin Collins Drum Troupe became the Kuungana African Drum and Dance Company. They began traveling and playing festivals and shows throughout Michigan and the U.S. All the while, Collins expanded his knowledge of culture and history by meeting and learning from experts. The group learned different styles of dance from Mali, Guinea, Senegal, Ghana and others. 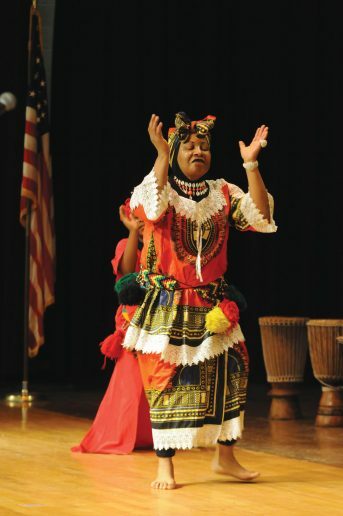 “I started studying with a group in Washington, D.C. called KanKouran West African Dance Company. 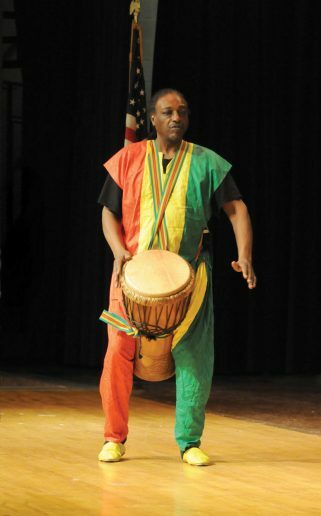 We learned all sorts of styles of Western African Drum and Dance and brought it all back home,” he explains. “We were able to bring KanKouran to Flint when we started hosting Kuungana – our annual conference.” In 1995, they held the first-ever Kuungana Conference at Northern High School. The conference is now so popular, it has expanded from one day to three. 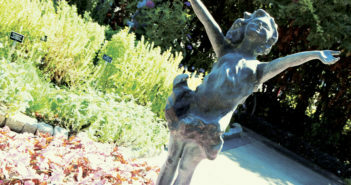 This year, the conference will celebrate its 24th anniversary. The group will continue to hold classes and perform wherever and whenever they can. They have performed in Washington, D.C. at the Smithsonian for the International Festival, at all the major festivals in Michigan, at colleges and institutions, DeVos Place in Grand Rapids with the symphony orchestra and this past June, the KADDC was able to perform for the King of Ghana at the Saginaw African Festival. Every year, the KADDC performs at the African World Festival in Detroit, at 2nd Friday Artwalk, and they lead the Juneteenth Parade in Flint. “We reach everyone we can through music, drum and dance. 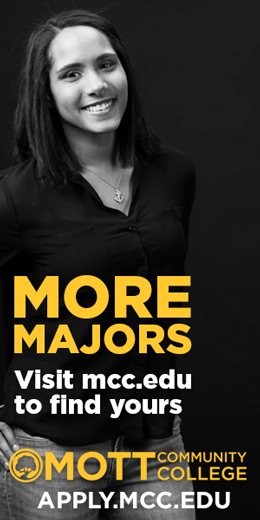 Teaching and performance are what’s most attractive to Collins. He has been a successful jazz musician his whole life, playing with all the greats such as Grant Green, Jack McDuff, Eddie Harris and Ralphe Armstrong. He has had songs featured in the movies “The Fighter” and “The Love Guru” and worked with the band for the The Velvelettes of Motown Records fame. “I have always wanted to be a musician and travel. I was on my way. I could have done that, but people should want to give. You should have a legacy,” Collins explains. “I started working with children to pass on my knowledge.” Not only does he pass on his knowledge to kids in the program, but his son has also taken up his art form. The ADDPA offers multiple programs for learning and performance. Their Cossan program takes place in June and is open free of charge to the public. Cossan is a variety of drum and dance workshops based on the people of Senegal. Experts from the U.S. and beyond come to the program to teach. 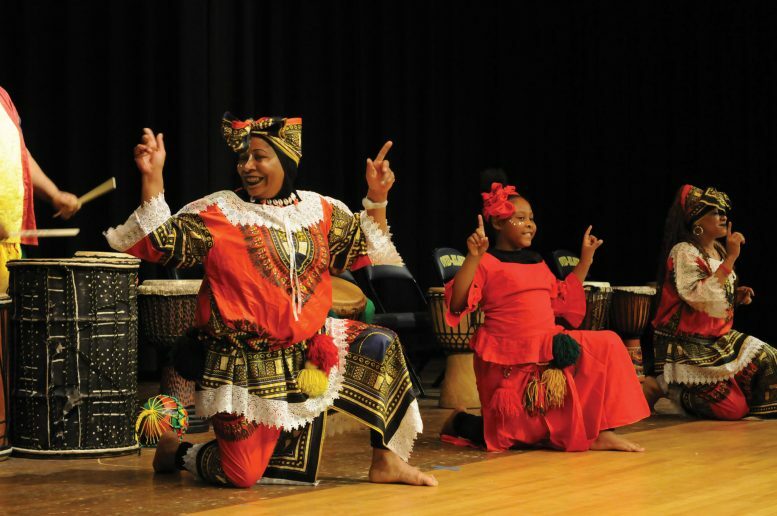 In the past, experts included: Assane Konte, Founder of KanKouran West African Dance Company; Marie Basse Wiles, Artistic Director of the Maimouna Keita School of African Dance; and Idy Ciss, artist at Muntu Dance Theatre of Chicago. Youth Moves is a program offered in the summer for kids age 10-18. This program promotes positive youth development as an effort to decrease childhood obesity and increase cultural awareness. In November, the Association hosts the Kuungana Conference and annual drum and dance concert. 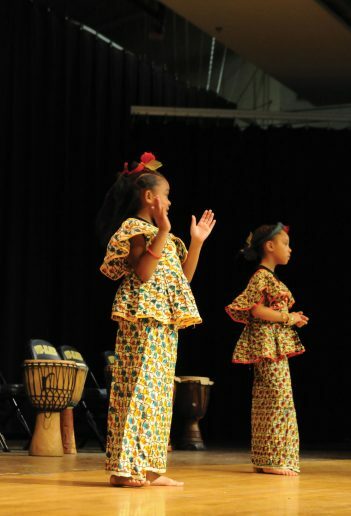 The Association also provides an Entrepreneurship Program which teaches kids life skills and crafts, and programs through VSA (Very Special Arts) that allows youth with disabilities to experience the fine art of African drum and dance. Baba Kevin Collins plans to take his students to Senegal this year to teach them the culture and history there. If you are interested in more, parents and children can sign up for daily drum and dance classes offered Monday 6pm-8pm, Tuesday for seniors/adults 10am-12pm, Thursday 6pm-8pm and Saturday 10am to 12pm at the Masonic Temple. Register at addpaflint.org or email Collins at babacollins14@gmail.com. Next Article Greater Flint Celebrates Martin Luther King, Jr.